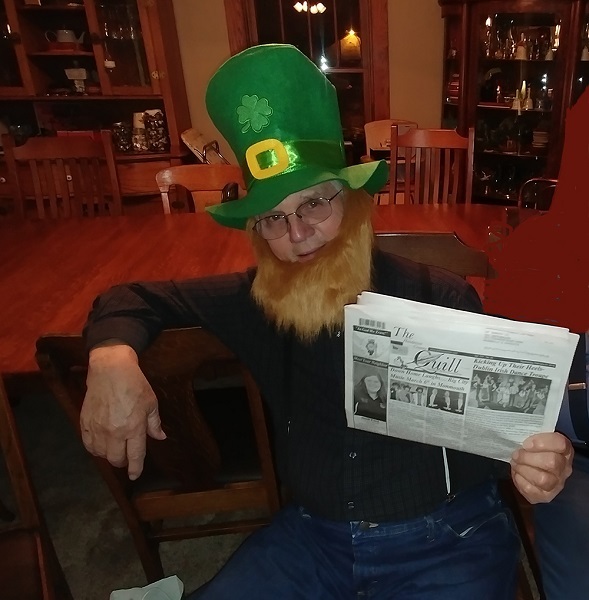 Bruce Wolf of rural Kirkwood, took "The Quill" along to his recent travels to a birthday party at the home of Raymond and Alice Defenbaugh, rural Biggsville where he was among the honorees. Among his many gifts, Bruce was gifted with this fancy St. Patrick's green hat, complete with red beard to prepare him for the upcoming festivities on St. Patrick's Day this weekend. When you go on a trip, take "The Quill" along and have your picture taken with it, and send it to us. Let's see where all "The Quill" can travel.